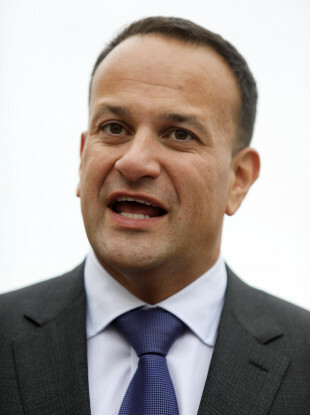 LEO VARADKAR IS set to travel to New York today ahead of the United Nations Nelson Mandela Peace Summit. The Taoiseach will visit the UN headquarters in New York tomorrow to attend the summit, which is being held in honour of the centenary of Mandela’s birth. The summit takes place the day before the main debate at this year’s General Assembly. Up to 100 heads of state and government will attend the summit to discuss global peace and security. The Taoiseach will address the plenary and will also hold a number of bilateral meetings with heads of state during which he will raise Ireland’s campaign for an elected seat at the UN Security Council for the 2021-2022 term. Each year the General Assembly elects five non-permanent members (out of 10 in total) for a two-year term. If Ireland’s bid is successful, it would be the fourth time the country has been elected to the council, having previously served in 1962, 1981 and in 2001. Email “Leo Varadkar to raise Ireland's bid to join UN Security Council in New York”. Feedback on “Leo Varadkar to raise Ireland's bid to join UN Security Council in New York”.